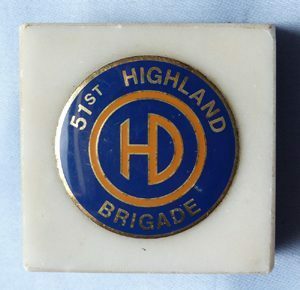 WW2 British Army 51st Highland Light Brigade desk paperweight. Original WW2 British Army 51st Highland Light Brigade desk paperweight. On white marble base. Dimensions are 2 inches x 2 inches x 0.75 inches. Good condition.